India’s unicorn startup list has yet another addition. Swiggy is now valued at $1.2 billion (Rs. 7,800 crore) after raising $210 million in a round led by DST and Naspers. Before this fundraise, Swiggy was valued at $700 million, but has now become India’s 10th unicorn startup, after Flipkart, Paytm, Snapdeal, Ola Cabs, InMobi, Hike Messenger, Zomato, Quikr and ShopClues. Swiggy said that latest fundraise will be used to ramp up its supply chain network and expand to new markets. “The company will also double its technology headcount to build for robust operations, deep personalization and connected supply chain systems,” Swiggy said in a statement. Swiggy has become the second fastest Indian company to reach the $1 billion valuation — it was founded in August 2014 and has touched valuation of $1 billion in June 2018, meaning it became a unicorn in 3 years and 10 months. The fastest Indian startup to become a unicorn had been Hike, which had become a unicorn 3 years and 8 months after being founded. InMobi and Ola took 4 years each, while Flipkart took 5. 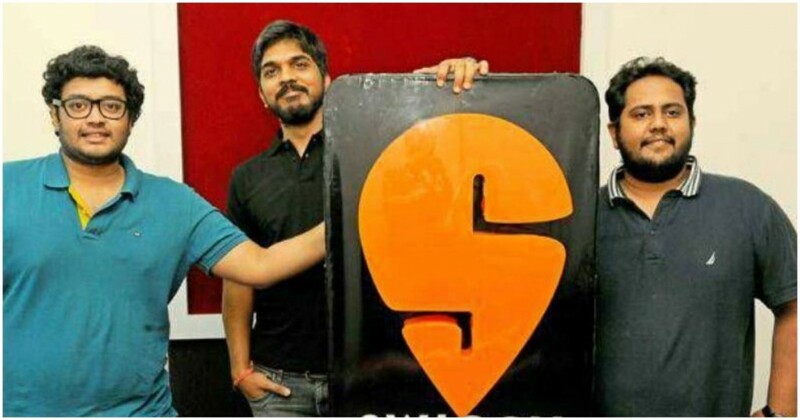 It’s been an exceptional journey for Swiggy, which was founded by BITS Pilani graduates Sriharsha Majety and Nandan Reddy, and IIT Kharagpur alumnus Rahul Jaimini. Majety had first tinkered with a startup idea around logistics, but had eventually pivoted to form a food delivery company. Swiggy’s success was never a given — in 2015 and 2016, food delivery startups had stumbled after an initial funding glut, and several, including SpoonJoy and Dazo had shut down. More dramatically, TinyOwl had its founder held hostage by irate employees when their salaries weren’t paid, and had later shut down as well. During the same period, Zomato and Foodpanda had laid off employees. But Swiggy managed to weather the storm, and now competes with Zomato and Foodpanda in what is essentially a three-way battle for India’s food delivery space. The three remaining players are all well funded — Zomato just raised Rs. 1,300 crore from Alibaba, and Foodpanda was recently acquired by Ola. That sets up a delicious battle for supremacy in the food delivery industry. It’s also a remarkable turnaround for the entire sector — after the shutdown and firings in the last few years, many had written off the space, saying its unit economics weren’t sustainable, and these companies would find it hard to get further backing. But after Zomato’s mega fundraise, Foodpanda’s acquisition, and Swiggy’s newfound unicorn status, food delivery startups now seem to be very much the flavour of the season.